In due course of this article, we will help you how to Update Sony Xperia U, Xperia Sola and Xperia with Android 4.0 ICS Firmware. The process for updating the above mentioned devices to Ice Cream Sandwich is quite easy. 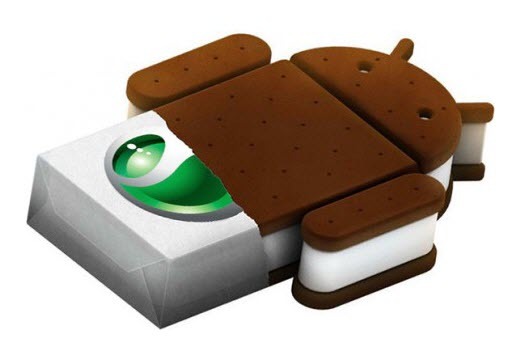 The other top brands like HTC, Samsung and LG easily upgrade their device with Android 4.0 Ice Cream Sandwich because they did not have too many device. But in the case of Sony it was not like that; it didn’t powered their device with Android 4.0 instead it included Android 2.3 Gingerbread OS. Now that has resulted in many of device by Sony added the list of device for Android ICS Update. Almost all the Sony powered devices have been upgraded to Android ICS except few of them like Xperia U, Xperia Sola and Xperia Go. Now, Sony has rolled out updates for these devices bringing out the latest and the best features. It will be continued over the next few weeks in the market globally to finally reach all the countries where these devices are available as these updates are right now available in European countries only. The camera has improved with time lapse video and includes the snapshot recording while video recording is going on. It Upgraded the voice input engine to allow continuous dictation. Apart from the above mentioned features the Xperia Sola has some special updates which brings the new features called Glove Mode. It is the extension of floating touch technology which allows the phone to use in the cold whilst wearing gloves. So, once you have performed all the above mentioned instructions, you can head over to the next steps where we have summed up a detailed tutorial on how to apply this update. Users who are looking to Update their device, can do the same by two ways either they can update via Over the air (OTA) and also by PC Companion tool. To get started you should ensure that you need to connect your device using the Wi Fi internet connectivity as the update should be downloaded. Make sure you are not chargeable to use Wi Fi and make sure you don’t update when you are on the 3G data connection as the update file size is large over 100 MB. On the other side you might have received the update notification on your device if not received then you can check for manual update. If you want to check for the update then you should go through Menu>Settings>About Phone> System Update. Now, tap on Check now and your device will be communicated to the Sony Server for the check up whether updates are available or not. Once you receive the server reply, you just need to tap on Download. Once the Android ICS pack is downloaded from the server then select the option of “Install Now”. Your phone would be restarted automatically once when the updates are applied to your device. For updating your device by this method, you should connect your device to the PC using the USB cable and you should have the PC Companion the Sony PC Suite tool available for Windows based systems and laptops. So, that’s it; there you go your device will updated the Android 4.0 Ice Cream Sandwich OS. Hej är android 4 och firmware samma sak? Eller android är ett som windows vista och firmware är vet inte please förklara.